The List contains information for thousands of implants, devices, materials, and other products. The objects in The List are divided into general categories to facilitate access and review of pertinent information. To properly utilize The List, particular attention must be given to the information indicated for the highest static magnetic Field Strength used for testing and the Status information indicated for a given Object. The “default” Field Strength indicated for an "MR Safe" implant is 1.5-Tesla. In some instances, MRI testing was performed and, therefore, 3-Tesla or 1.5- and 3-Tesla may be indicated for an MR Safe implant. (Note: These specific terms correspond to the column headings for information compiled in The List). In addition, for certain objects (e.g., those designated as Conditional 5), it will be necessary to refer to specific recommendations on this website or to contact the manufacturer of the implant or device for the latest MRI information, particularly if the implant/device in question is electronically-activated or otherwise an “active” implant. Frequently, specific MRI information is best found at the implant/device company’s website. Object: This is the implant, device, material, or product that underwent evaluation relative to an MR procedure or the MR environment. Information is also provided for the material(s) used to make the object and the manufacturer of the object, if known. The term “SS” refers to stainless steel. Note that there are magnetic and nonmagnetic forms of stainless steel. Status: This information pertains to the results of the tests conducted for the object. 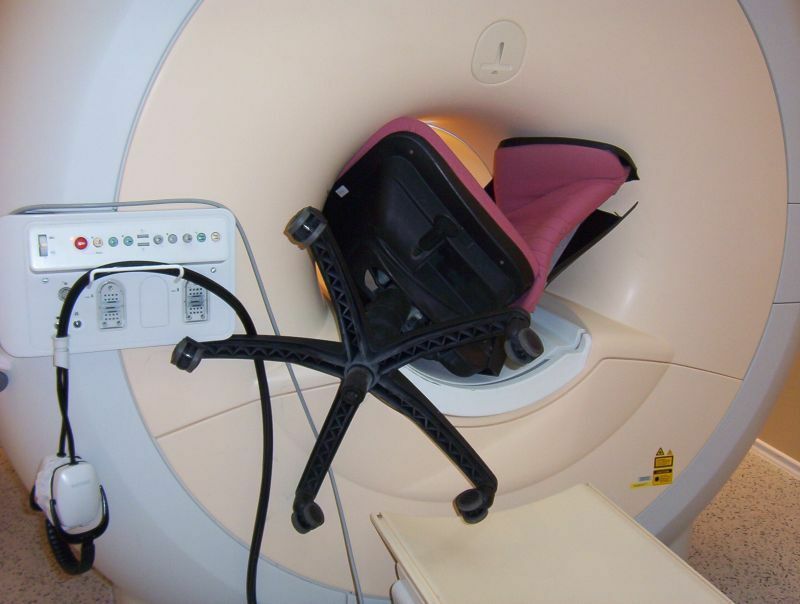 Testing typically included an assessment of magnetic field interactions (i.e., deflection and/or torque) and MRI-related heating, as needed. In some cases, medical products were assessed for induced electrical currents and the impact of an MR procedure or the MR environment on the functional aspects of the object. 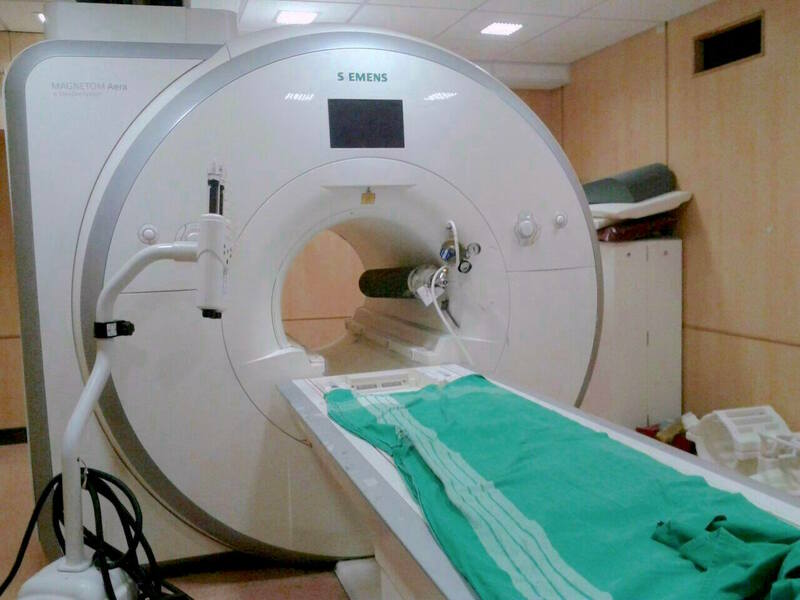 Safe – The object is considered to be safe for the patient undergoing an MR procedure or an individual in the MR environment, with special reference to the highest static magnetic field strength that was used for the MR safety test. The object has undergone testing to demonstrate that it is safe or it is made from material(s) considered to be safe with regard to the MR environment (e.g., plastic, silicone, glass, etc.) or an MR procedure. Refer to additional information for the particular object indicated on this website. Terminology from the American Society for Testing and Materials (ASTM) International and utilized by the Food and Drug Administration refers to MR safe as an item that poses no known hazards in all MRI environments. Using the current terminology, MR safe items include non-conducting, non-metallic, non-magnetic items such as a plastic Petri dish. Conditional – The object may or may not be safe for the patient undergoing an MR procedure or an individual in the MR environment, depending on the specific conditions that are present. Current terminology from the American Society for Testing and Materials (ASTM) International and utilized by the Food and Drug Administration refers to MR conditional as an item that has been demonstrated to pose no known hazards in a specified MRI environment with specified conditions of use. Field conditions that define the MRI environment include static magnetic field strength, spatial gradient, dB/dt (time varying magnetic fields), radio frequency (RF) fields, and specific absorption rate (SAR). Additional conditions, including specific configurations of the item (e.g., the routing of leads used for a neurostimulation system), may be required. Conditional 1 – The object is acceptable for the patient or individual in the MR environment, despite the fact that it showed positive findings for magnetic field interactions during testing. Notably, the object is considered to be “weakly” ferromagnetic, only. In general, the object is safe because the magnetic field interactions were characterized as “mild” or “weak” relative to the in vivo forces or counter-forces present for the object. For example, certain prosthetic heart valve prostheses and annuloplasty rings showed measurable magnetic field interactions during exposure to the MR systems used for testing, but the magnetic field interactions were less than the forces exerted on the implants by the beating heart. Additionally, there may be substantial “retentive” or counter-forces provided by the presence of sutures or other means of fixation (e.g., screws, cement, etc. ), tissue ingrowth, scarring, or granulation that serve to prevent the object from presenting a risk or hazard to the patient undergoing an MR procedure or an individual in the MR environment. For a device or product that is used for an MR-guided procedure (e.g., laryngoscope, endoscope, etc. ), there may be minor magnetic field interactions in association with the MR system. Eddy currents may also be present. However, the device or product is considered to be acceptable if it is used in its “intended” manner, as specified by the manufacturer. Special attention should be given to the strength of the static magnetic field used for testing the device or product. Functional or operational aspects may need to be considered. Additionally, specific recommendations for the use of the device or product in the MR environment or during an MR procedure (i.e., typically presented in the Product Insert or Instructions for Use) should be followed carefully. See also Conditional 7 information below. Conditional 2 – These particular “weakly” ferromagnetic coils, filters, stents, clips, cardiac occluders, or other implants typically become firmly incorporated into the tissue six weeks following placement. Therefore, it is unlikely that these objects will be moved or displaced by interactions with the magnetic fields of MR systems operating at the static magnetic field strength used for testing. Furthermore, to date, there has been no report of an injury to a patient or individual in association with an MR procedure for these coils, stents, filters, cardiac occluders or other similar implants designated as “Conditional 2”. Of note is that if the implant is made from a nonmagnetic material (e.g., Phynox, Elgiloy, titanium, titanium alloy, MP35N, Nitinol, etc. ), it is not necessary to wait a minimum of six weeks before performing and MR procedure using an MR system operating at 1.5-Tesla or less (in some cases, this may also apply to 3-Tesla MR systems). Special Note: If there is any concern regarding the integrity of the implant or the integrity of the tissue with regard to its ability to retain the object in place during an MR procedure or during exposure to the MR environment, the patient or individual should not be allowed into the MR environment. Conditional 3 – Certain transdermal patches with metallic foil (e.g., Deponit, nitroglycerin transdermal delivery system) or other metallic components, although not attracted to an MR system, have been reported to heat excessively during MR procedures. This excessive heating may produce discomfort or burn a patient or individual wearing a transdermal patch with a metallic component. Therefore, it is recommended that the patch be removed prior to the MR procedure. A new patch should be applied immediately after the examination. This procedure should only be done in consultation with the patient’s or individual’s personal physician responsible for prescribing the transdermal medication patch. Conditional 4 - This halo vest or cervical fixation device may have ferromagnetic component parts, however, the magnetic field interactions have not been determined. Nevertheless, there has been no report of patient injury in association with the presence of this device in the MR environment at the static magnetic field strength used for MR safety testing. Issues may still be present with regard to MRI-related heating. As such, guidelines provided in the Product Insert or Instructions for Use for a given halo vest or cervical fixation device should be carefully followed. Halo vests and cervical fixation devices made from conducting metals may heat excessively during an MR procedure, resulting in serious patient injury. Contact the manufacturer for further information. Also, refer to recent information for cervical fixation devices, as several have now been evaluated at 3-Tesla. Conditional 5 - This object is acceptable for a patient undergoing an MR procedure or an individual in the MR environment only if specific guidelines or recommendations are followed (see specific information for a given object on this website and contact the manufacturer for further information). Please refer to the specific criteria for performing the MR procedure by reviewing the information for the object on this website in the Safety Information section or on the manufacturer's website.. Consult the manufacturer of the particular device for the latest safety information. Frequently, this information is found on the company’s website. A list of biomedical company websites may be found on this website. Conditional 6 - This implant/device was determined to be MR Conditional according to the terminology specified in the American Society for Testing and Materials (ASTM) International, Designation: F2503. Standard Practice for Marking Medical Devices and Other Items for Safety in the Magnetic Resonance Environment. -Maximum spatial gradient magnetic field of 720-Gauss/cm (a higher value for the spatial gradient magnetic field may apply if properly calculated). -Maximum MR system reported whole-body-averaged specific absorption rate (SAR) of 2-W/kg for 15 minutes of scanning (per pulse sequence). In non-clinical testing, the implant/device produced a temperature rise of less than or equal to 6.0 degrees C using an MR system reported, whole body averaged specific absorption rate (SAR) of 2-W/kg for 15-minutes (per pulse sequence) of scanning in a 3-Tesla MR system. MR image quality may be compromised if the area of interest is in the exact same area or relatively close to the position of the implant/device. In some cases, the artifact size relative to the size of the implant or device may be indicated. Attention: Contact the manufacturer of this implant/device for further information, as needed. Conditional 7 - Important Note: This device is not intended for use during the operation of an MR system for an MR procedure. That is, this device should not be inside of the bore of the MR system, exposing this device to the time-varying and RF fields activated during an MR procedure. Attention: Contact the manufacturer of this implant/device for further information. Conditional 8 – This information pertains to an implant/device that has MRI labeling at 1.5-Tesla and 3-Tesla, ONLY. In some cases, the information may pertain to single and two-overlapped versions of a stent. The implant/device was determined to be MR Conditional according to the terminology specified in the American Society for Testing and Materials (ASTM) International, Designation: F2503. 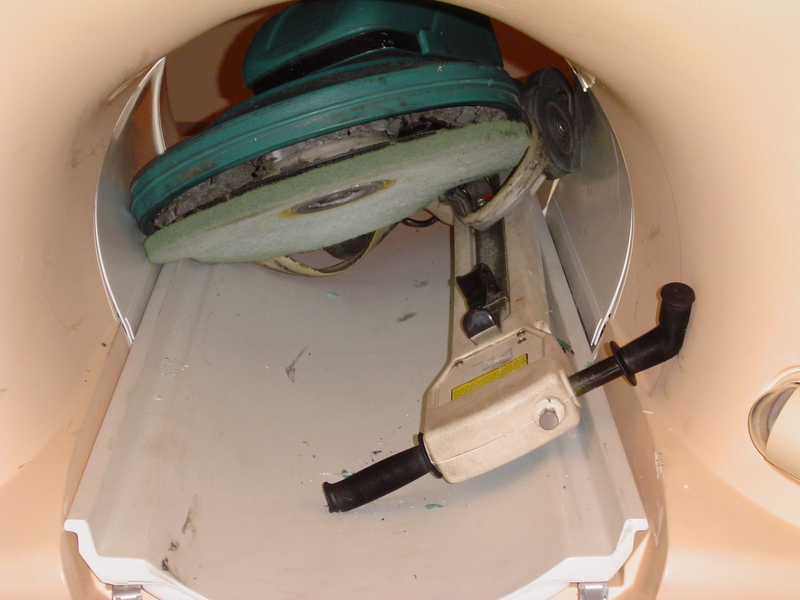 Standard Practice for Marking Medical Devices and Other Items for Safety in the Magnetic Resonance Environment. Terminology from the American Society for Testing and Materials (ASTM) International and utilized by the Food and Drug Administration refers to MR Unsafe as an item that is known to pose hazards in all MRI environments. MR Unsafe items include magnetic items such as a pair of ferromagnetic scissors. Unsafe 1 – The object is considered to pose a potential or realistic risk or hazard to a patient or individual in the MR environment primarily as the result of movement or displacement of the object. Other risks or a different hazard may also exist. Therefore, in general, the presence of this object is considered to be a contraindication for an MR procedure and/or for an individual to enter the MR environment depending on the nature of the object or item. Note that the “default” static magnetic field strength for an unsafe implant or device is typically 1.5-Tesla. Unsafe 2 – This object displays only minor magnetic field interactions which, in consideration of the in vivo application of this object, is unlikely to pose a hazard or risk in association with movement or displacement. Nevertheless, the presence of this object is considered to be a contraindication for an MR procedure or for an individual in the MR environment. Potential risks of performing an MR procedure in a patient or individual with this object are related to possible induced currents, excessive heating, or other potentially hazardous conditions. Therefore, it is inadvisable to perform an MR procedure in a patient or individual with this object. For example, although certain cardiovascular catheters and accessories typically do not exhibit magnetic field interactions, there are other mechanisms whereby these devices may pose a hazard to the patient or individual or in the MR environment (e.g., excessive MRI-related heating). The Swan-Ganz thermodilution catheter (and other similar catheters) displays no attraction to the MR system. However, there has been a report of a Swan-Ganz catheter that “melted” in a patient during an MR procedure. Therefore, the presence of this cardiovascular catheter and any other similar device is considered to be a contraindication for a patient undergoing an MR procedure. Note that the “default” static magnetic field strength for an unsafe implant or device is typically 1.5-Tesla. Field Strength – This is the highest strength of the static magnetic field of the MR system that was used for safety testing of the object. In most cases, a 1.5-Tesla MR system was used for testing. However, there are some objects that were tested at field strengths lower (e.g., 0.15-Tesla) or higher (e.g., 3-Tesla) than 1.5-Tesla. Note that the “default” static magnetic field strength for an unsafe implant or device is typically 1.5-Tesla. In some instances, MRI testing was performed and, therefore, 3-Tesla or 1.5- and 3-Tesla may be indicated for an MR Safe implant. There are MR systems with static magnetic field strengths that exceed 3.0-Tesla (i.e., as high as 8-Tesla or 9.4-Tesla). Some objects have been assessed to determine the relative amount of magnetic field interactions in association with these very high-field-strength MR systems. Important Note: An object that exhibits only “mild” or “weak” magnetic field interactions in association with exposure to a 1.5-Tesla MR system may be attracted with sufficient force by a higher field strength scanner (e.g., 3-Tesla), potentially posing a risk to a patient or individual. Therefore, careful consideration must be given to each object relative to the static magnetic field strength of the MR system used for testing as well as the conditions that are present for the patient or individual under consideration prior to exposure to the MR environment. Furthermore, for implants and devices that have an elongated shape or form a loop of a certain diameter, MRI-related heating may be of concern. Reference – This is the peer-reviewed publication or other documentation used for the MRI safety information indicated for a particular object. The current MRI labeling terminology is intended to help elucidate matters related to biomedical implants and devices to ensure the safe use of MRI technology. Notably, this terminology (i.e., MR safe, MR conditional, and MR unsafe) has not been applied retrospectively to implants and devices that previously received U.S. Food and Drug Administration (FDA) approved labeling using the terms “MR safe” or “MR compatible” (i.e., this applies to those objects tested prior to December, 2005). Accordingly, this should be understood to avoid undue confusion regarding the matter of MRI-related labeling for “older” vs. “newer” implants. American Society for Testing and Materials (ASTM) International, Designation: F2503. Standard Practice for Marking Medical Devices and Other Items for Safety in the Magnetic Resonance Environment. ASTM International, West Conshohocken, PA.
Shellock FG, Woods TO, Crues JV. MRI labeling information for implants and devices: Explanation of terminology. Radiology 2009;253:26-30. Woods TO. Standards for medical devices in MRI: present and future. J Magn Reson Imaging. 2007;26:1186-9. Questions may be sent to Dr. Frank G. Shellock at Frank.ShellockREMOVE@MRIsafety.com.